JACKSONVILLE, FL. – March 15, 2019 – The HCI Group, global leader in healthcare IT consulting and managed services, hires Chris Belmont as Executive Vice President of Strategy & Operations. JACKSONVILLE, FL – March 12, 2019 – University of Florida announces CEO, Ricky Caplin's recognition as one of UF's 40 Under 40. JACKSONVILLE, FL - October 30, 2018 – The HCI Group has been recognized by Consulting Magazine as a Fastest Growing Firm for a third consecutive year. JACKSONVILLE, FL, August 17, 2018 -- Inc. Magazine has ranked The HCI Group #3799 on the 2018 Inc. 5000, an exclusive ranking of the nation's fastest-growing private companies. In 2013, HCI achieved the #3 overall ranking, and 2018 marks its sixth consecutive year appearing on the list. Only six percent of companies who have been on the Inc. 5000 have made the list six times. 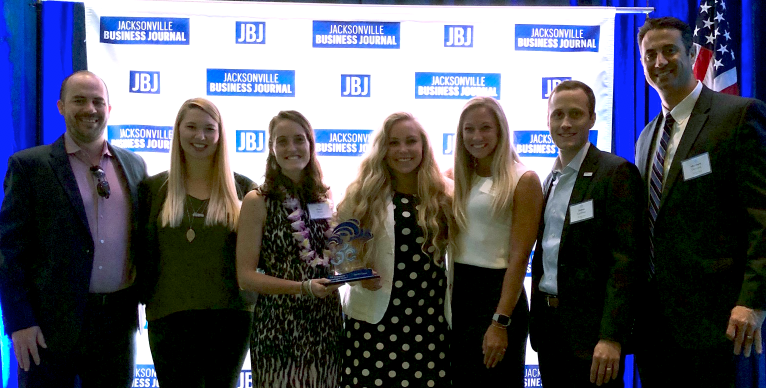 JACKSONVILLE, FL – July 13, 2018 – The HCI Group, a healthcare IT consulting & solutions firm based in Jacksonville, FL, has been recognized by the Jacksonville Business Journal’s 2018 Fast 50 Awards as one of the fastest-growing private companies in Northeast Florida for the 6th year in a row.